The Wii was revolutionary in that it introduced the mainstream gaming market to motion controls and the concept of "keeping fit" through gameplay. However, it was by no means the first gaming platform to achieve this - in 2004, Japanese firm SSD Company Limited released the XaviX Port alongside a range of sports-focused titles which used wireless, motion-sensitive controllers to engage the player. While it has since passed into obscurity, the XaviX Port recieved a release in North America, where it initially retailed for $79.99. The games released for the platform covered sporting events like bowling, tennis, golf and baseball (sound familiar?) and Chinese movie star Jackie Chan saw fit to support the console with the J-Mat peripheral and PowerBoxing, which came with a set of boxing gloves. 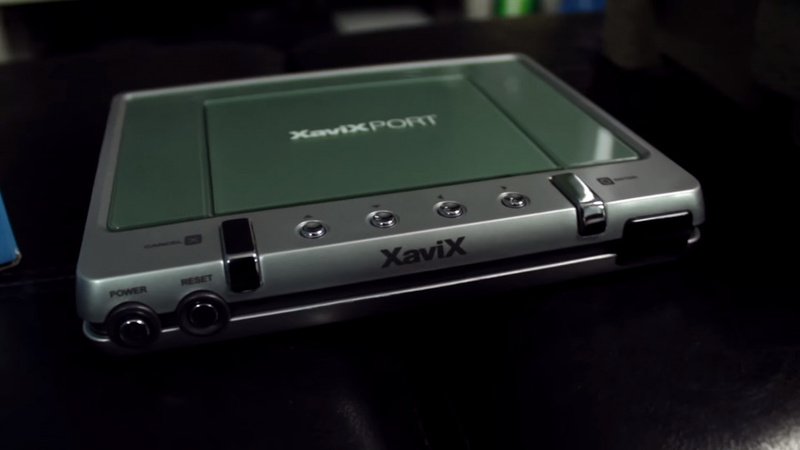 While the XaviX Port clearly has its limitations, it was nevertheless quite an impressive device for its time - and managed to beat Nintendo to the whole "gaming fitness" concept. For a more enlightening illustration of the system's capabilities, check out this video from Game Dave, which - we should warn you - also includes excessive exercise and questionable impressions of famous Chinese actors. Not really surprising. Jackie's game career was not as illustrious as his movie/singing one but he was in a surprisingly large number of games at one point. Plus China was anti outside consoles until recently. Wow, I'm surprised. Some of the UI even looks like the Wii's. Jackie, get your lawyers on the phone! The boxing game makes me think of something that SNK could have made if they entered the motion control market. I hate to say it but it looks like Nintendo maybe ripped quite a lot of that stuff off. Depends on when each tech was first shown and subsequently released I'd say. Def the Wii Balance Board stuff didn't come until way down the line. I wonder if he won that argument with his son. Should have had the main picture be of Jackie Chan in Operation Condor. Haha. They sell them for $55 on their site now, though retailers still sell them for the original MSRP. On eBay if you really wanted one you can still get a NEW one for just $24 or lower. EDIT:Also I think it should be noted that 8 of the 9 engineers who originally founded this company worked on the NES. @AVahne Really? Is there any more info on that (the engineers bit)? But getting fit is last on my list of things to do. Actually looks kind of fun. The first time I saw it, was in a Toys R Us that isn't around anymore. The system was pricey at the time, and each game was almost a $100 or more, so it never really took off...wasn't even in the video game section in the store. Other than that, I've never seen commercials or advertisements for it, which is why it probably flopped. Even when I saw the Atari Jaguar in stores, I never saw one advertisement for it. Maybe nintendo will pick this up and buy them and get the games onto their next motion-controlled system for some retro action fun!!!! I watched the video and it's actually better than I expected. It does some things better than Nintendo's offerings, like the fitness game allowing you to jump on the board. Considering how similar the menus look, it's pretty likely that Nintendo took inspiration from this console while designing Wii products. @EngieBengie Actually he did more or less the same thing. Sometimes it seems things get wiped from history if they don't quite fall in line with the whole "Nintendo innovated everything and everyone else copies them" thing. Seems to me like the sole purpose of this video is to make fun of those Jackie Chan Fitness games. How unprofessional. @mikegamer Doesn't flow as well.